Some phosphorus can be recovered from the sea-bed, most remains in the sea. New technology is being tested to restore seabeds and recover nutrients. Phosphorus is one of the elements implicated in the work done by Rockström et al at the Stockholm Resilience center. We are close to exceeding nature’s boundaries for the phosphorus cycle. Waste water mining. (point 6)This approach collects all waste water and through heat and chemical treatment turns it to ash. New technology can extract phosphorus, heavy metals etc so they can become part of the circular economy. Composting and fermenting. (points 2 and 5) Using natural, local processes, urine from animals and humans provides the main source of phosphorus in agriculture. 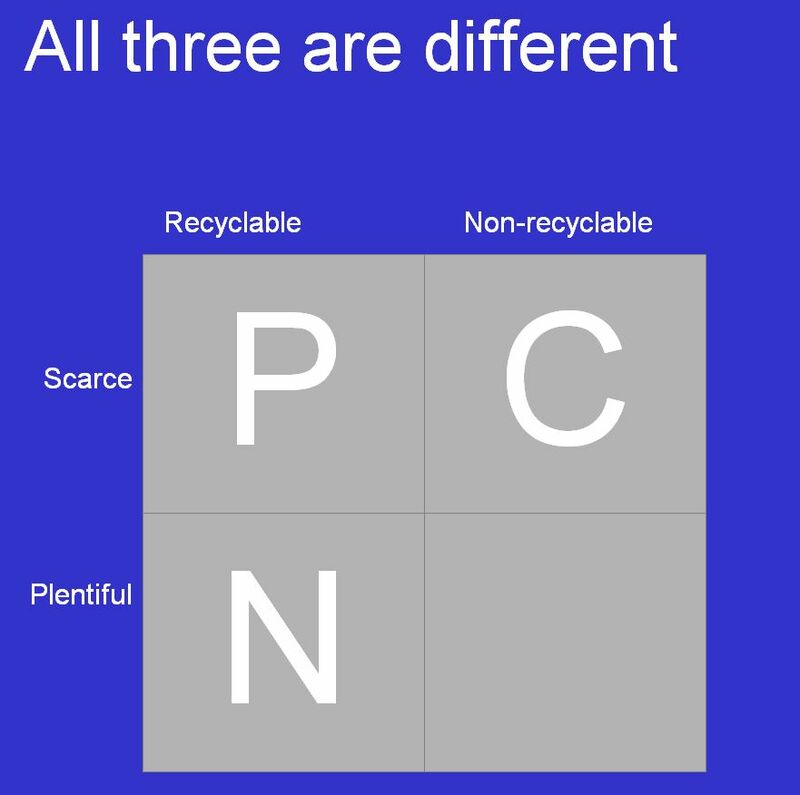 Creating a local careful use path for all biomass to ensure phosphorus remains recyclable. This includes a major push to restore landscapes and soils and increase productivity. Phosphorus can be regulated using Market Based Instruments. However, because these pollutants have different natures, the application of where and how to apply fees needs careful consideration. 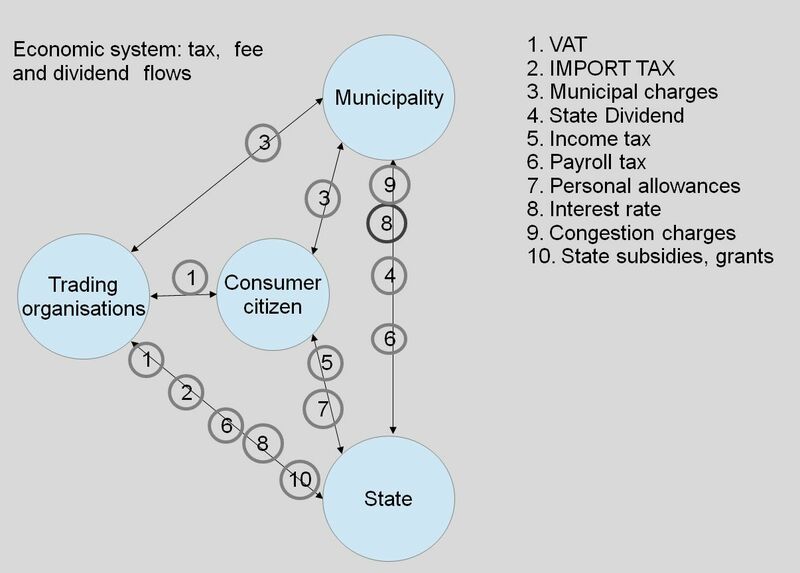 The diagram below shows the plethora of points of extraction of fees and taxes that could be adapted. 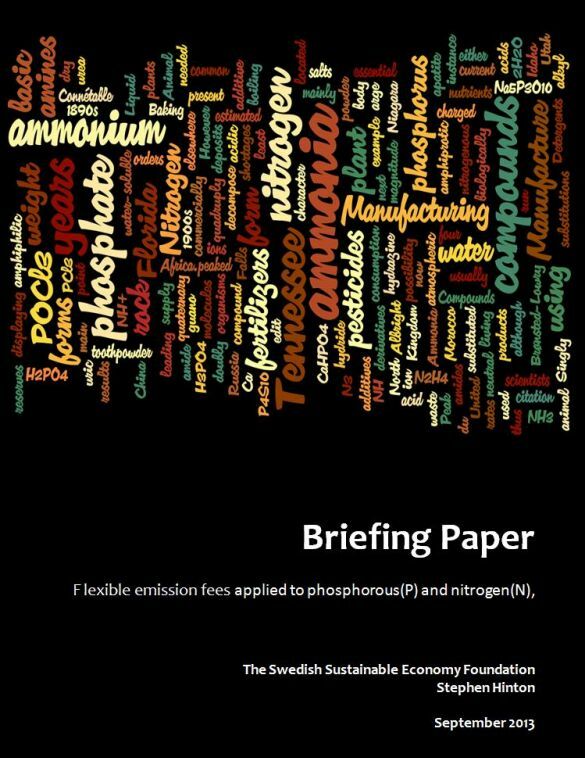 A recent publication by the Swedish Sustainable Economy Foundation outlines how a flexible pollutant fee can be levied on phosphorus entering the market economy. Raising the fee at regular intervals until the import and or pollution stops, the fees are returned to the market as returns to tax payers. 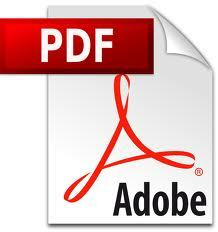 A more comprehensive explanation of flexible fees is available in the Foundation’s White paper. Video explaining the importance of phosphorus for sustainable agriculture. Economics of the Ocean Conference in Washington hears about flex fees.